This is absolutely new pattern from the genius Cook Albert Simon for those who need to lose weight without harming health. 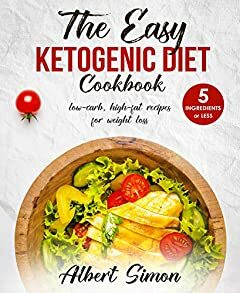 With this cookbook you can also learn all the benefits and main directions for Ketogenic diet!!! All the recipes are chosen one by one to satisfy most demanding buyer and that's the reason making this book incomparable with the others! * PERFECT RESULT FOR WEIGHT LOSS BONUS - 14 DAYS KETO DIET PROGRAM for lovely buyers. Stay healthy and lose your weight using desserts and drinks. Thanks for your attention and hope to see the positive result of hard work in reviews.